When it's time to give some shape and structure to your landscaping, consider hardscaping. Beautiful outdoor living spaces need definition, and hardscaping provides definition without inviting years of arduous maintenance. For example, an extensive wood deck may be look good right outside your back door, but that wood will require scraping, sanding, staining, and sealing to keep it from warping and cracking. Hardscape materials, however, will serve you year in, year out, without any complaints. If you're considering hardscape, think of all the different ways in which you could use this valuable landscaping tool. 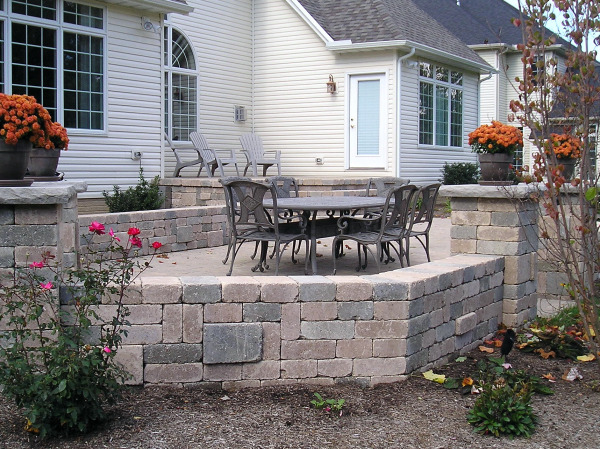 Hardscape is ideal for walkways, retaining walls, patios, raised garden beds, fountains, walls, and partitions. The texture of hardscape materials provides nice contrast to foliage, lawn, water features, and your home. Pavers. Pavers allow you to create a luxurious-looking ground surface. They come in many different styles and colors, so you can create a custom look that perfectly suits your home. Whether you prefer an old-world cobblestone pathway or a modern patio, pavers can create a one-of-a-kind hardscape surface for your home. Architectural Slabs. Think of architectural slabs like large floor tiles for the great outdoors. Using different colors of architectural slabs, you can visually create an extension of your indoor living space. Some architectural slabs contain exposed bits of granite and marble chips, which give your landscaping added depth and character. Retaining Walls. Hardscaping awkward slopes or hills with retaining walls does several things for your landscaping. First, it keeps erosion under control. Second, it makes your land more usable. Finally, added retaining walls gives dimension and height to an otherwise drab section of your property. Retaining walls built of wood or railroad ties often cave in as the wood rots and warps, but hardscaped retaining walls keep their shape and require no maintenance. Natural Stone. Nothing creates beautiful outdoor living spaces like the purposeful use of natural stone. Whether this stone looks "accidental," as in the strategic placement of limestone boulders, or painstakingly hewn, as in a sophisticated flagstone patio, natural stone gives landscaping the look of timelessness. Because of its organic feel, natural stone looks as if it's always been there, as if your home's landscaping appeared before the house itself. Stone Veneers. If you love the look of stone, consider adding stone veneers to your hardscaping. Natural stone isn't practical or even possible for all applications, but you can create the look of natural stone by adding veneers. These veneers can be used on retaining walls, garden walls, outdoor fireplaces, raised garden beds, or anywhere else you'd like to add some texture and character. 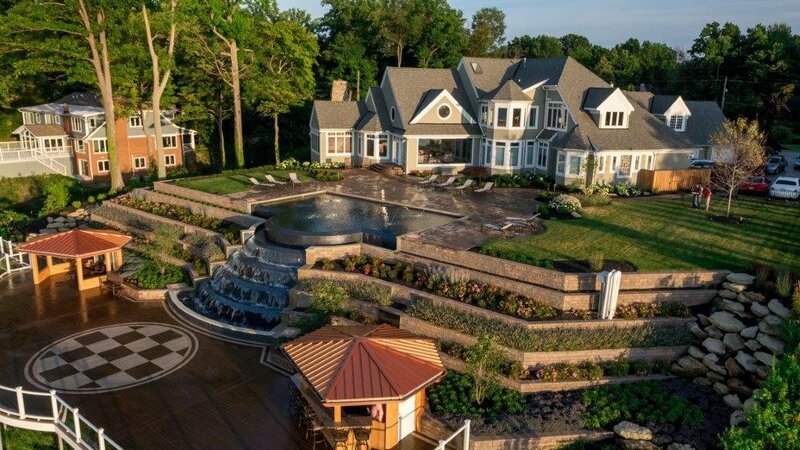 Even if you're not going to execute your entire master landscaping plan soon, we recommend that you design your entire yard. Hardscape is difficult to change once you've installed it, and it would be a shame to realize that you've forgotten to include part of your yard in your overall plan. We take special care with all of our hardscaping projects, pouring concrete support slabs under all hardscaped walkways and patios. We know that beautiful outdoor living spaces depend on the underlying structures, and we pride ourselves on our custom-handcrafted work. Contact us to learn more about hardscaping your property.